Apple’s reduced-rate battery replacement program for older iPhones has been around for so long that it started to feel as though it’d always be with us. Alas, all good things come to an end. The year-long promotion—which lets you replace your older iPhone’s battery for just $29 (down from $79)—is set to end on December 31. If you have an iPhone SE, 6, 6 Plus, 6s, 6s Plus, 7, 7 Plus, 8, 8 Plus, or X and you aren’t satisfied with its battery life, now is the time to act. Seriously, get on that if you haven’t. Even I know a couple of iPhone 6 users who are dragging their feet, which surprises me as they regularly complain about the device’s battery life. It’s not even that hard. Replacing it is a simple battery of taking your phone to a Genius Bar or (less optimally) shipping it off to Apple for repairs. Partly in response to last year’s iPhone 6 throttling scandal, Apple made it easy to check the health of your phone’s battery in iOS 11. Here’s how. Scroll down to Battery, select it. Tap Battery Health. You’ll then see the maximum battery capacity listed as a percentage. 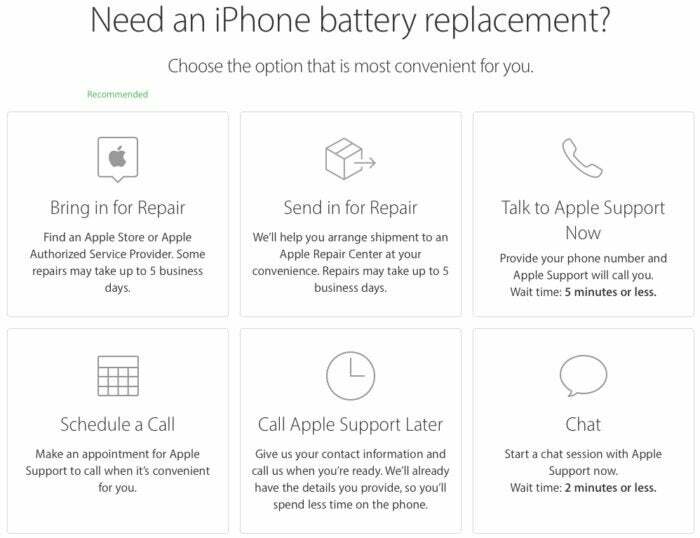 If your battery needs a replacement, it’ll tell you so. Go to Apple’s online support page (https://getsupport.apple.com). Click on the iPhone box. Click on Battery & Charging. Click either Bring in for Repair or Send in for Repair. We highly recommend bringing in your phone to a Genius Bar as you won’t have to be without your all-important smartphone for a few days, which might be devastating during the holiday season. These days, the local Genius Bar usually already has the batteries on hand. That’s also why it’s common to hear stories of customers getting iPhone 6 battery replacements even then their phones say they don’t need one. That wasn’t the case earlier in the year, but now people frequently report that they successfully got replacements even when their batteries were listed as being at 95 percent capacity. Those same users often report that they saw battery and speed improvements even with that relatively small boost. Keep in mind, too, that the end of the price reduction doesn’t mean that you won’t be able to get a battery replacement for your iPhone 6 in 2019. You’ll just have to pay the full $80 for it. As it turns out, Apple was actually trying to keep the devices going, not pushing them toward obsolescence. 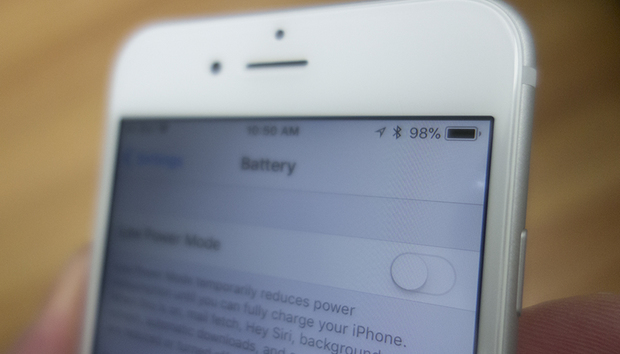 Running normally with a weak battery, the iPhone 6 would get to the point where the battery couldn’t power the processor, and thus the phone would simply shut down. The throttling was meant to avoid that (and Apple now lets you disable it through the Battery menu in Settings). Apple even said that it improved “power management during peak workloads to avoid unexpected shutdowns on iPhone” in the iOS 10.2.1 patch notes, but it didn’t explain how it was addressing the shutdown issue. Anyway, iPhone users—get your batteries refreshed for $29 while you still can. It’s a good deal. When the deal expires, battery replacements for most iPhones will cost $49, although Apple will charge $69 for replacing the battery on the iPhone X.